Ilove spinach! I really don’t like iceburg lettuce, so I make all of my salads with spinach. The hubby bought me a giant box of real North Carolina strawberries. So I always am making this salad. 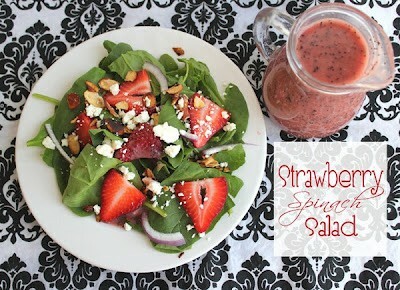 My two favorite things, spinach and strawberries.